This modern textbook of biological oceanography is aimed at students taking oceanography, marine biology and marine sciences courses. It covers recent developments such as the molecular techniques (including sequence data) that have allowed a re-examination of the ocean's microbial ecology and the role of the various trophic groups in biogeochemical cycling, carbon flow and climate control. Major topics covered include phytoplankton bloom, microbial food web, marine biogeography, global climate change and an overview of fisheries oceanography. Difficult concepts are explained in a straightforward manner, making this book accessible to undergraduates, graduates and researchers alike. 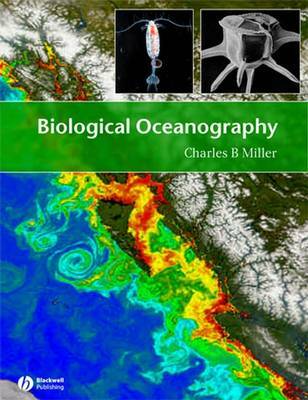 This title features a chapter on important numerical models which have become indispensable in biological oceanography. It contains further details of key terms and important topics are highlighted in boxes. Models, formulas, methodologies, and techniques are described and explained throughout.